Over the weekend I saw Skyfall, the new James Bond movie (which I highly recommend) and from a mid-life career management standpoint, this is a case of art imitating life. New (younger) management comes into the company and tells the older person in charge to retire voluntarily “with dignity” or get dragged through the mud and be forced out. Stop me if you’ve heard this one. But in the movie (and I am not giving the plot away) the older person says, “To hell with dignity! I’ll retire when the job is done!” and storms off. That’s the part when you remember it is a movie. It never quite plays out like that in real life. In Skyfall, our hero James is older and somewhat worse for the wear. Obviously, the very negligent HR professionals at his employer have never suggested the Employee Assistance Plan for his hard-drinking or counseled him about habitual sexual harassment and gratuitous violence he’s shown in getting the job done. 1. When a mistake is made, organizations make someone pay. The bigger the error, the more heads roll. Skyfall had an embarrassing security breach and people died. Hopefully your job it is not quite that intense. 007 TIP: Don’t sign up for any high-visibility projects tipping toward the probability of failure, lead a project that is not fully-resourced or align yourself with someone in career freefall. I know it is not always your choice. If someone signs you up for a project with the Codename: TITANIC, update your resume. 2. If you are not constantly adding to your skill set, reinventing yourself and expanding your network; you might as well get measured for a blue vest at the nearest big box store. In Skyfall, the war was fought technologically. The weapons were laptops, computer hacking and viruses. The days of exploding pens are long gone. 007 TIP: Is your latest education over ten years old? It is time to supplement your experience. Bond’s nemesis asked, what was the super-spy’s hobby—his answer “resurrection”. Get comfy with technology. There’s always going to be a new boss to prove yourself to if you want to stick around. 3. What comes around goes around. In business as in life, time heals wounds and time wounds heels. It is better to err on the side of being kind (even in the hard cold world of business) than being a heartless robotic jerk, because over the span of a career lifetime, it comes back at you in spades. 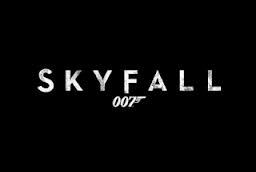 007 TIP: Skyfall was the most dramatic Bond movie with the least amount of special effects. There were plenty of explosions and the Aston Martin DB-5 was back, but the drama was in the emotion. M was stoic as her past actions were called into question. Over the years, we become more introspective. A philosophical Bond had to go home literally and metaphorically to face his past. From my vantage point, it was great to see 007 hold on to his job and be given a chance to work with the new management team. Although the HR part of me still thinks his employee relations rep should have that heart-to-heart talk with Bond and begin documenting (just in case)- lol. You’ve got 168 hours to make it a great week!